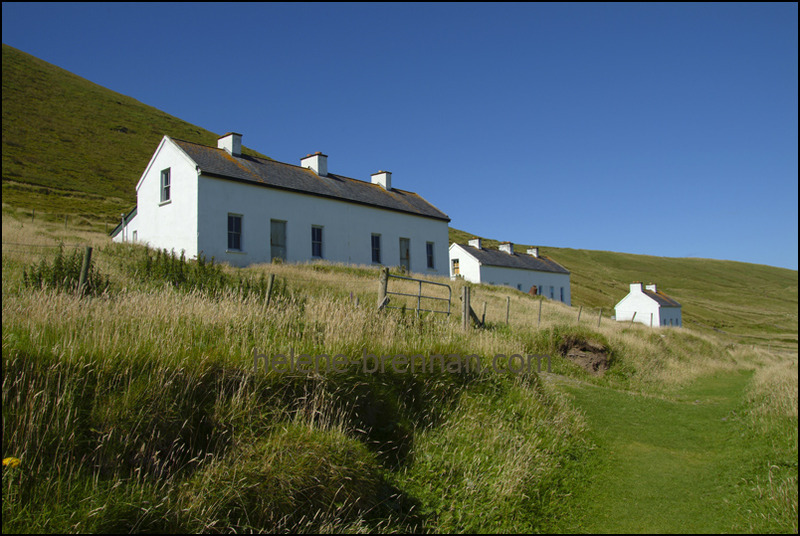 Houses on Great Blasket Island, built by The Congested Districts Board of the time. Peig Sayer's house is on the right of the nearest 2 semi detached houses. The houses have been upgraded and maintained in recent years. Different sizes available. Unframed. No mount. Easy to ship. Framing may be available. Larger size also available. Please enquire.